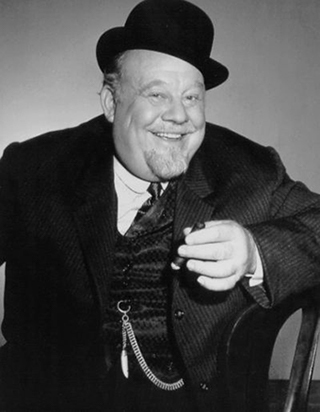 Beloved by generations of children, theatergoers and movie buffs, Burl Ives devoted his life to collecting, preserving, enhancing and performing countless songs from America’s folk-music heritage. Once in school, Ives discovered an athletic talent. He was an all-conference guard on his high school’s football team. And though he played his guitar and sang publicly from the age of 4, after high school he decided to become a coach. He enrolled at Eastern Illinois State Teachers College as a physical education major and made it to his senior year. But before that year was through, Ives knew the teaching life was not for him; that music was his true calling. He packed up his guitar, left college and took to the road. Ives wandered the United States, Mexico, and Canada, learning regional folk songs and picking up stories along the way. Once, Ives’ music got him arrested. Police picked him up in Mona, Utah, for singing “Foggy, Foggy Dew,” because authorities there considered the song about courtship indecent. Ives documented his wandering years in his autobiography, Wayfaring Stranger. Ives performed and worked odd jobs to bring in money while he studied classical music. His studies informed his passion as he endeavored to legitimize folk music as intrinsic to the American spirit. “His struggle to make a place for himself as a ballad singer arose because many of the people in the entertainment world could see no value in what they called ‘those moss-covered songs,'” Ives wrote of himself in his 1953 paperback Burl Ives Song Book. But, Ives added, he never faltered in his belief. He just kept gathering folk songs until he had learned hundreds of the old Scottish, Irish and English immigrant ballads, cowboy and railroad songs, nursery songs, parlor songs and work songs, the fabric of American life and history set into a musical staff. Ives may have been bringing in money as an actor, but he was still primarily a singer. He kept looking for ways to bring his ballads to the American public. Finally, he landed a job singing ballads for NBC-Radio. But war news interrupted the introduction to his debut performance, and he was unable to go on air. In 1945, Ives married Helen Peck Ehrlich, who he met while working on a radio show. The two adopted a son, Alexander, and lived in a New York apartment while Ives was touring, and between tours stayed at their California ranch, where Ives enjoyed racing his boat and flying planes, raising goats, hiking and camping. But he never left music and performing for long. Ives’ progress was impeded, however, by the work of the House of Un-American Activities Committee, which after World War II began investigating and blacklisting entertainment industry professionals who had left-leaning views or were members of the Communist Party. Those who were blacklisted could have their names removed from the list, and could resume earning a living in their chosen profession, if they appeared in front of the HUAC, proved they had turned away from their “radical activities,” and gave names of associates who were or may have been members of the Communist Party. Ives cooperated with the committee, which cost him several friendships, tarnished his reputation in the eyes of many colleagues and fans, but allowed him to continue his career. Ives and Helen divorced in the 1960s, with Helen taking custody of their son. Ives remarried in 1970, to Dorothy Koster. A year earlier he had landed the role of a lawyer on NBC’s “The Bold Ones,” and he kept that role until 1972. He narrated the still-popular animated television movie “Rudolph the Red-Nosed Reindeer,” and had a role in the acclaimed 1977 television miniseries “Roots.” In all, Ives appeared in at least 15 plays and 34 movies, performed in several television series and programs, and sang in cabarets and radio shows. He published 10 books and dozens of songbooks. In 1990, Ives and Dorothy moved to Anacortes, Wash. He indulged his hobbies and became involved in his community, helping to raise funds for a pediatric facility and cultural center. But soon Ives’ health began to suffer. The former cigar and pipe smoker was diagnosed with mouth cancer and underwent several operations, none of which resulted in remission. Finally, Ives decided against further surgery. On April 14, 1995, Ives died with Dorothy and his three stepchildren at his side. He possessed this wonderful, teddy-bear warmth. “I loved him, and I will miss him. His soul was as deep as his voice. He could thunder, but never in anger, and he had an all-encompassing calm about him. He was just a great Big Daddy.